Finished story share cards concept for ViewTheStory.com. Wanted to offer users the option to share their personalized "story link" to their social networks using more than one predefined message or image. 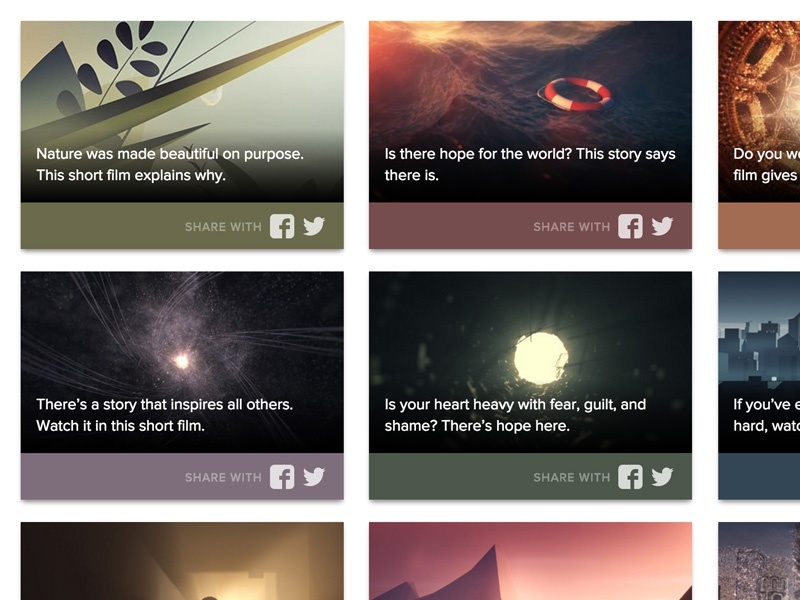 Created 12 different share cards using images from the short film to do just that.